Taking on a DIY project can be exhilarating and satisfying. You have the chance to learn new skills and apply any existing know-how you’ve built up over time. You get to save money and help the environment by refurbishing and recycling old furniture instead of sending it to the landfill. You are able to design something completely personalized instead of settling for a mass-produced item. Best of all, you get bragging rights when your friends arrive for a BBQ and ask you where you found your gorgeous new furniture! Your DIY result, however, is only as good as the materials you have available. You need to know how your chosen fabric will behave while you’re working with it and how it will perform --especially under the ever-changing conditions of outdoor life. 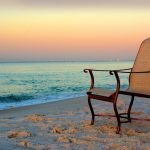 There are so many types of outdoor furniture fabric on the market, but information on how to choose the best fabric for outdoor furniture applications can be harder to find. Quality is fundamental, but so is matching the right fabric to the job. That’s where research and education matter -- and that’s why Phifer has created a series of guides to understand which outdoor fabric works best for each type of DIY project. 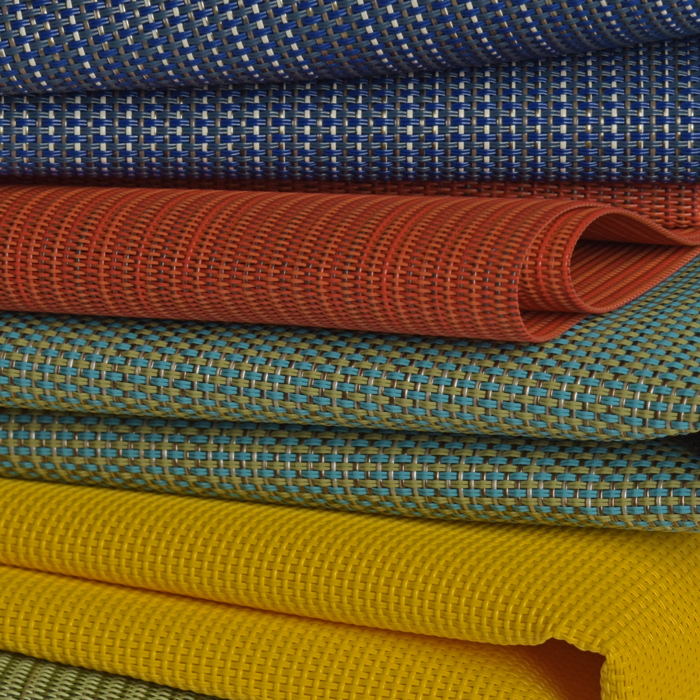 We have been weaving these fabrics for decades: we know them inside and out. Let us help give you the details and specific info you need to make the right choice the first time. Olefin: is a high performance indoor / outdoor fabric. 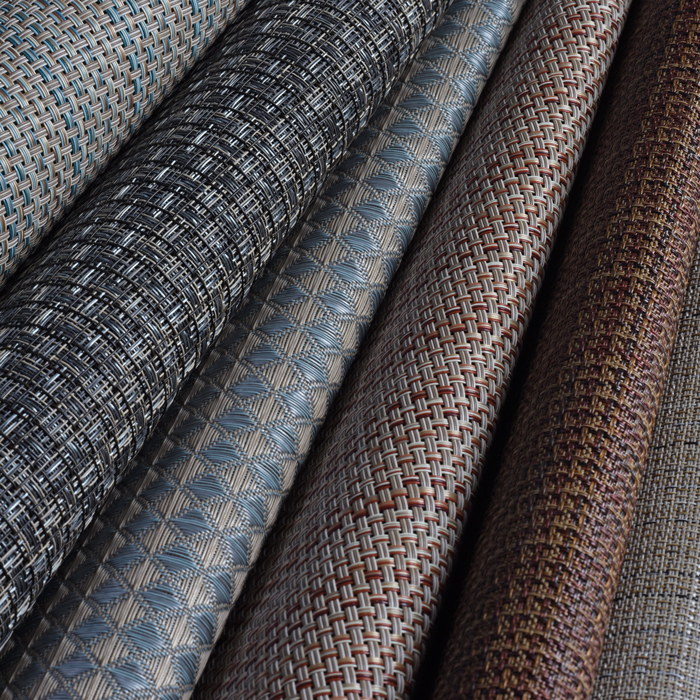 Woven from strong-yet-soft olefin yarns, it combines the durability of traditional outdoor materials with the beauty and refinement of conventional designer upholstery fabrics. It’s durable, sturdy, color fast and easy to wash. It’s also lightweight and soft to the touch -- with more drape than you might expect from such a hard-wearing fabric. Olefin fabric is water resistant, wicks away moisture and dries quickly. It’s perfect for poolside use and won’t stay damp for long after a summer shower. For eco-conscious buyers, Olefin offers an environmentally-friendly option: the manufacturing process produces very little waste and olefin fabric is 100% recyclable. 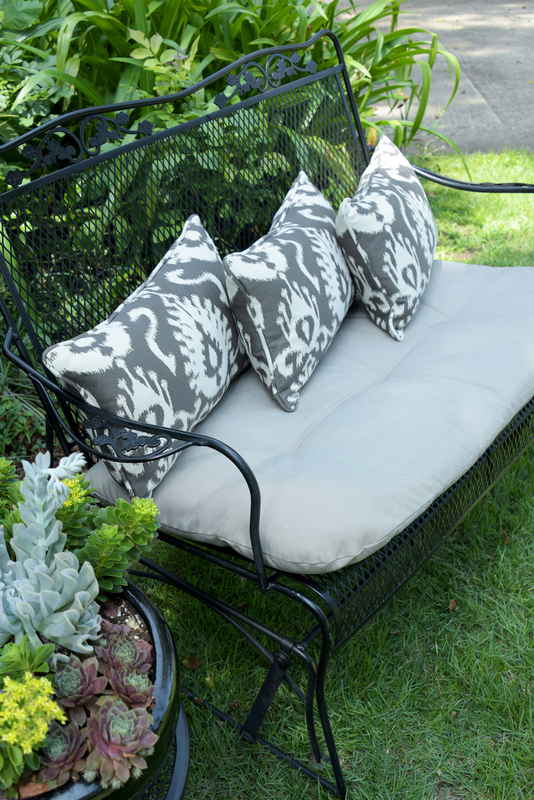 Choose olefin for projects like outdoor throw pillows, cushions and upholstery, where comfort, softness, and sophisticated design options are a top priority. The drape of olefin material gives your outdoor curtains a graceful flow. And because the fabric is woven from solution-dyed olefin yarns, they won’t fade in the sun like some common polyester blends. Woven from strong polyester yarns coated with a waterproof liquid vinyl, this tough outdoor fabric is engineered for strength and dimensional stability. This versatile fabric works well in many applications that demand durability and style. 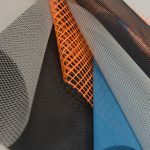 From sports equipment to beach bags to upholstery, woven vinyl mesh fabrics are long lasting and easy to clean. Because it doesn’t fray when cut, it can also be used for wonderful “no sew” projects: whip up placemats, tablecloths and table runners in no time at all. Because it’s so strong and sturdy, PVC-coated mesh is the best material for outdoor furniture that needs to comfortably -- and safely -- hold a person’s body weight. This durable mesh is your go-to for reupholstering sling chairs. Wicker weave fabric is a type of Vinyl-coated polyester mesh with a dobby weave designed to mimic natural furniture materials like wicker, cane, straw, wood and more. Enjoy the charming look of nature with the benefits of expertly-engineered man-made materials! 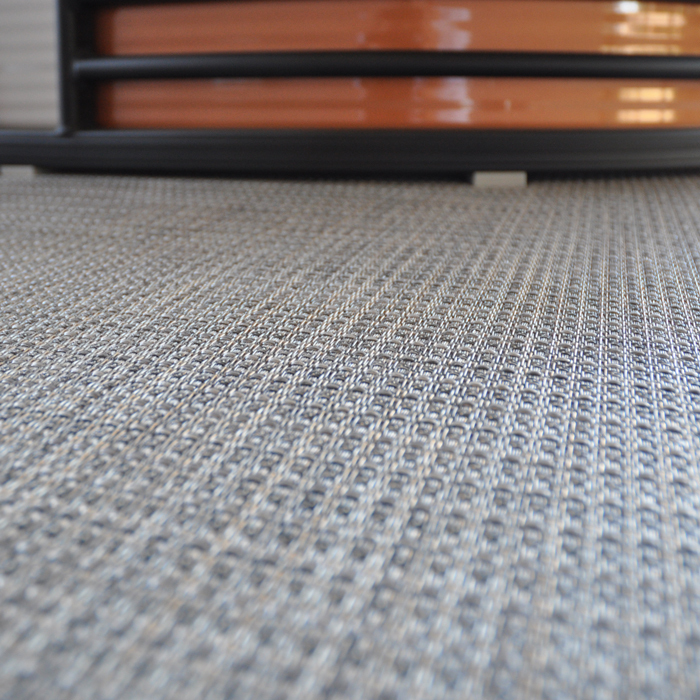 When paired with a special backing for grip and improved water-wicking capabilities, Vinyl coated polyester fabrics provide an attractive, incredibly durable, and fully customizable flooring option for boats. Which Fabric is Right for You? ​Strong? Soft? Colorful with a luxurious drape? Perfect for poolside use? Not sure which of our Phifer Designed Fabrics is the right fit for your vision? Check out the chart below for an at-a-glance look to see which type of fabric is the best for your project! Once you know which fabric to buy, the next question is how much do you need? Calculating fabric amounts right the first time will save you the frustration of running out mid-project or spending more than you need to on excess material. While every project is unique, our fabric calculation page will teach you how to measure and plan with confidence. Phifertex® - Made in the USA, the Phifertex​ family of Vinyl-coated polyester mesh slingable fabrics offer spectacular performance and unparalleled style. With so many unique weaves and elegant options to choose from, the design possibilities are both endless and exciting. Phifertex​ fabrics are super durable, UV / fade resistant, water resistant, and stain resistant. They are also infused with Microban to keep mold and mildew at bay. Low maintenance and easy to clean, Phifertex​ offers you a worry-free outdoor fabric that will stay vibrant even in tough conditions. Murotex® - Specifically designed to meet the demands of busy commercial and business spaces, Phifer’s custom Murotex​ line is made in the USA. It is a high-end Vinyl-coated polyester mesh wall covering fabric that meets most safety codes for office buildings. Available in customized colors and patterns to suit any design scheme, Murotex​ is an excellent, easy-to-clean solution for durable upholstery in high traffic areas. It’s also an attractive choice for acoustical panels. 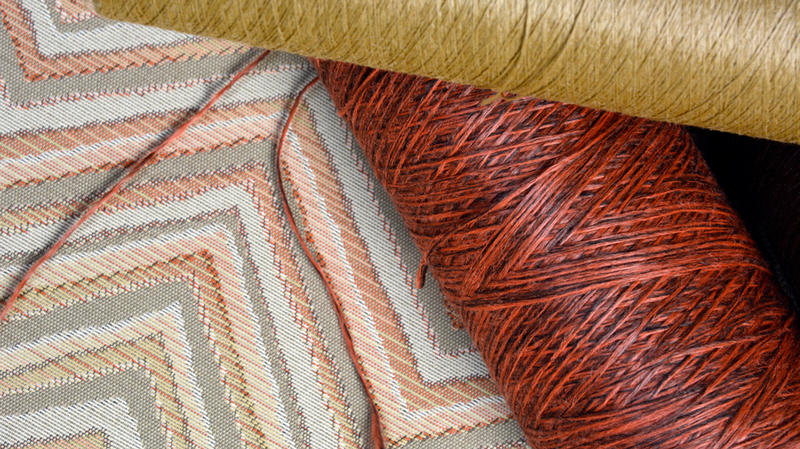 Ge​oBella® - Blurring the line between high performance and high design, Phifer’s GeoBella​ line is a superior olefin fabric, available in a dazzling array of classic and contemporary colors, weaves, prints and touchable textures. Stain resistant, UV / fade resistant, water resistant, and eco-friendly, GeoBella​ fabric is an ideal choice for both indoor and outdoor use. 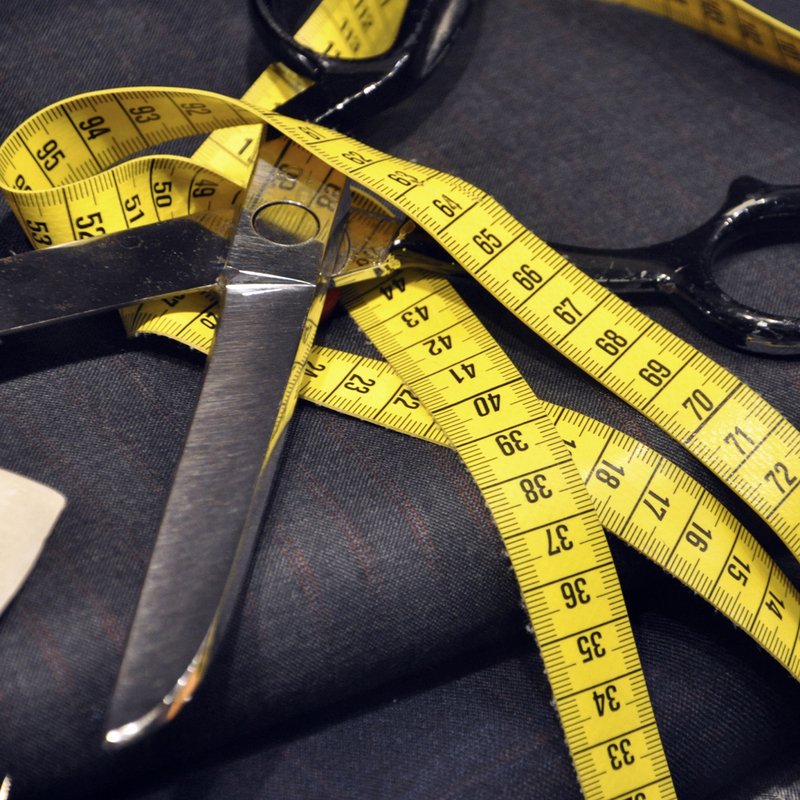 Phifer’s world-class Designed Fabrics are manufactured in accordance with GREENGUARD​ standards. These stringent specifications ensure some of the world’s lowest emissions of volatile organic compounds (also known as VOCs). 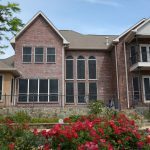 Air quality matters, GREENGUARD​ Certification programs helps protect the air we breathe -- indoors and out. After all the research and reading, let your creativity loose! 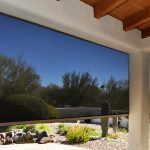 The Phifer Outdoor Fabric Visualizer is a fun and powerful tool to help you envision the final result of your DIY adventures. 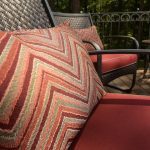 It’s so easy to mix and match your favorite Phifer Designed Fabrics with our sample images to see how your outdoor furniture dreams might look in real life. Go nuts with color, examine the subtle shifts that come with a different texture, see how that stripe combines with that woven tapestry, and let yourself play. Need more great information about Phifer’s outdoor fabric? We’re here to help! Get in touch with one of our friendly experts today! We live and breathe outdoor furniture fabric and can answer all your questions over the phone, email and live chat. We can offer advice on choosing the best fabric for your plans and, if you need to source Phifer fabric to get your DIY masterpiece off the ground, we’ll point you to retailers online or in your town who carry the designs and colors you’re looking for.